Hella Hueck always gets to the heart of the day’s most compelling economic news stories. Hueck started her career at business channel RTLZ. 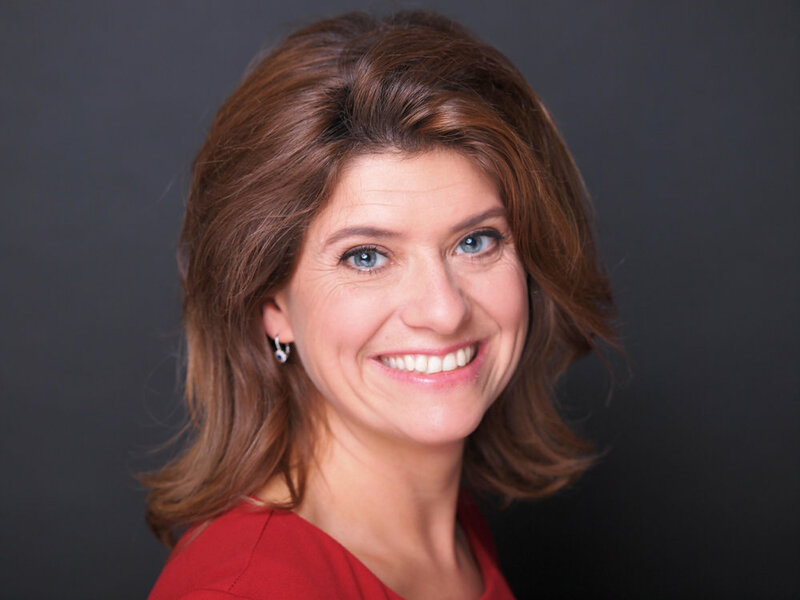 She had a dual role as anchor and reporter for RTL, the leading commercial broadcaster in the Netherlands. Having joined RTL in 2004, Hueck covered numerous business stories, mostly on the seismic changes in the banking sector and Europe. In October 2008, she reported live from Wall Street on the Lehman Brothers collapse and it’s effects. Hueck travelled to Iceland, Greece and Cyprus explaining the deepest and most complex economic crisis of modern times: the Eurocrisis. She developed a television format "Toekomstmakers", a program on entrepreneurship. In addition to her daily newsreports, she has interviewed CEO’s from a.o. Unilever, DSM, Philips Electronics, entrepreneurs from startups / scale-ups like Takeaway.com, Booking and politicians and central bankers a.o. Trichet. She is communicative, no-nonsense, focused, always looking at the bright side of life.